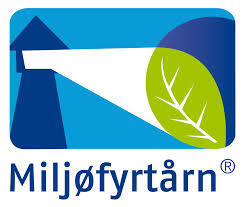 Jytte flour rich in fibre and naturally gluten free. The flour blend does not contain any wheat starch, and is made specifically for celiacs and wheat intolerants. It can of course also be used by everyone else. 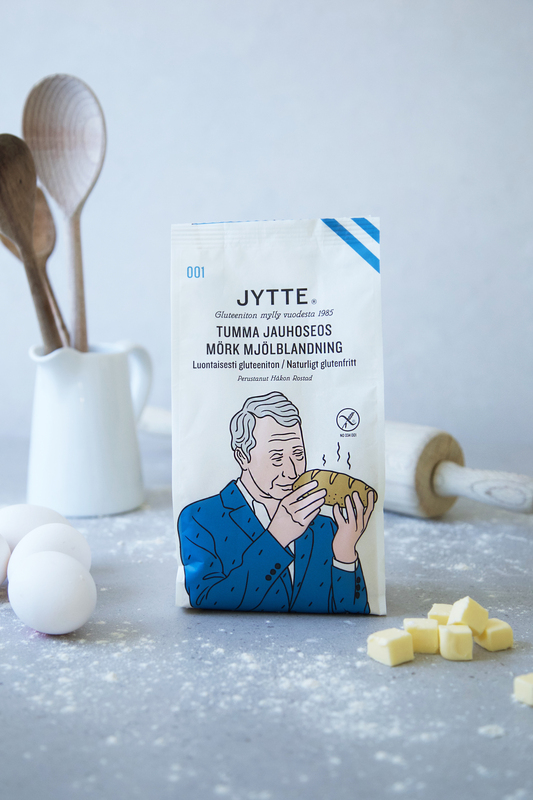 Jytte flour blends replaces plain flour in cooking and baking. 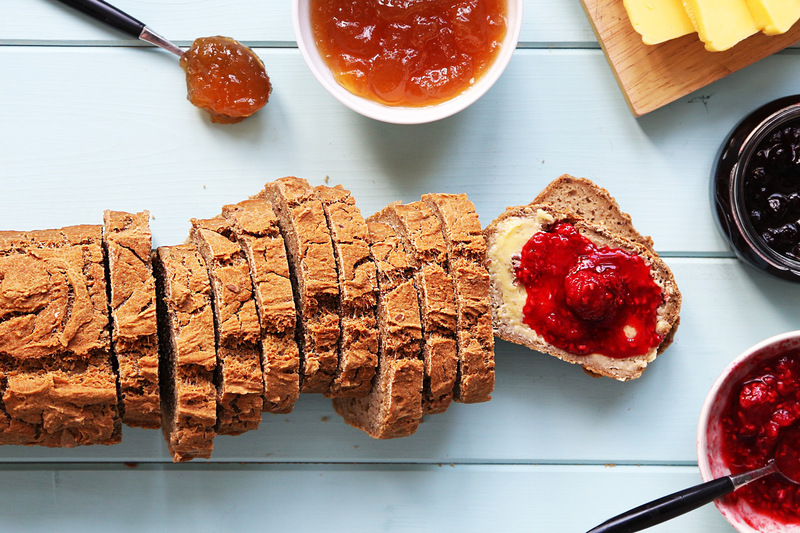 No special treatment for gluten intolerants – the whole family can eat the same food. 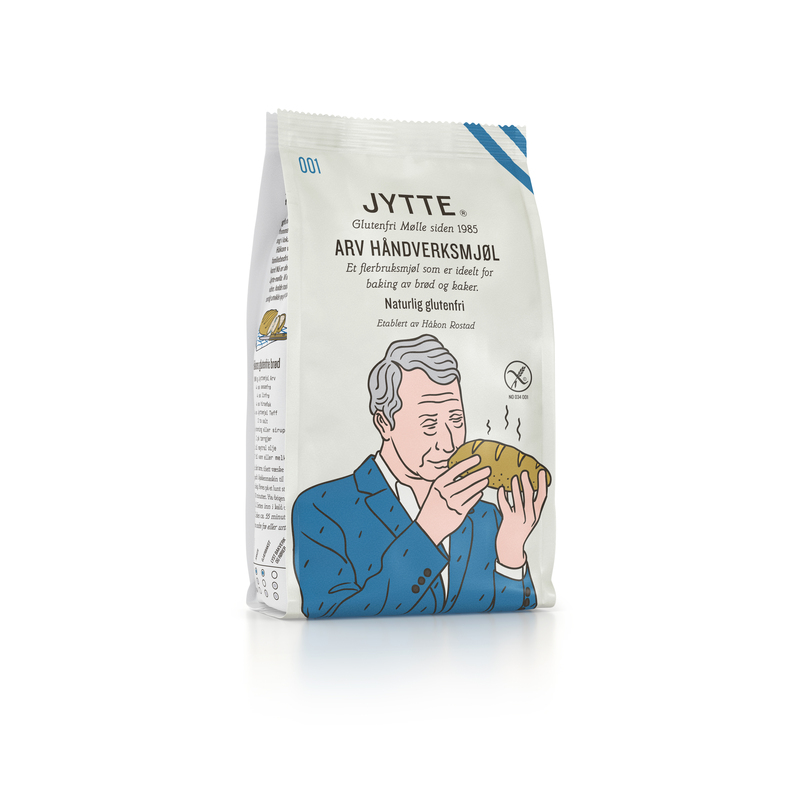 Jytte flour was developed in Sweden by the Danish lady Mrs. Jytte Uth-Norlander. She was celiac and very concerned with the nutritional content of the diets that was recommended. Holmen Crisp bought the mill and took the production to Norway. We have since then developed two more blends and a single grain flour. More is to come! Ingredients: Flour of rice, corn, buckwheat, sugar beet and psyllium shell, thickener; potato starch, E 410 (locust bean), E 415 (xanthan gum) and E 417 (tara gum).